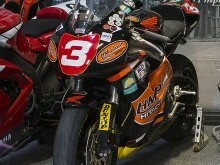 John McGuiness rode this bike to win the 2007 Senior TT, 2007 Superbike TT, 2008 Senior TT, 2008 Superbike TT. 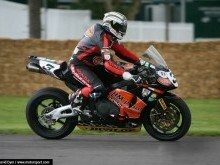 This was also the first bike to exceed a 130mph average lap time in 2007. The Isle of Man TT is one of the most prestigious races on the motorcycling calendar and takes place every year. The 37.33 mile circuit around the Isle of man is often referred to as the most dangerous road-race in the world and takes place on closed off public roads each summer. The track has provided a constant testing ground where motorcycles and their components have been assessed under much harsher conditions than the average rider could ever expect to meet. 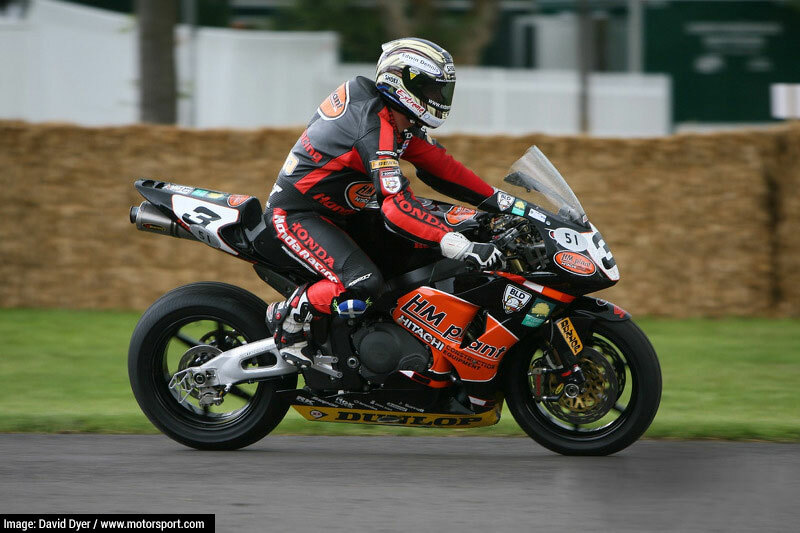 Local man John McGuiness also known as the’.Morecambe Missile’ has a long history of successes on the circuit and has clocked up 23 wins as of 2015. His long relationship with Honda Racing has developed over many years and this bike was one of his most successful motorcycles he raced on. Honda is the world’s largest motorcycle manufacturer and introduced the Fireblade CBR1000RR in 2014. This latest incarnation of the sport bike is the seventh-generation of the series of motorcycles than began with the CBR900RR in 1992. 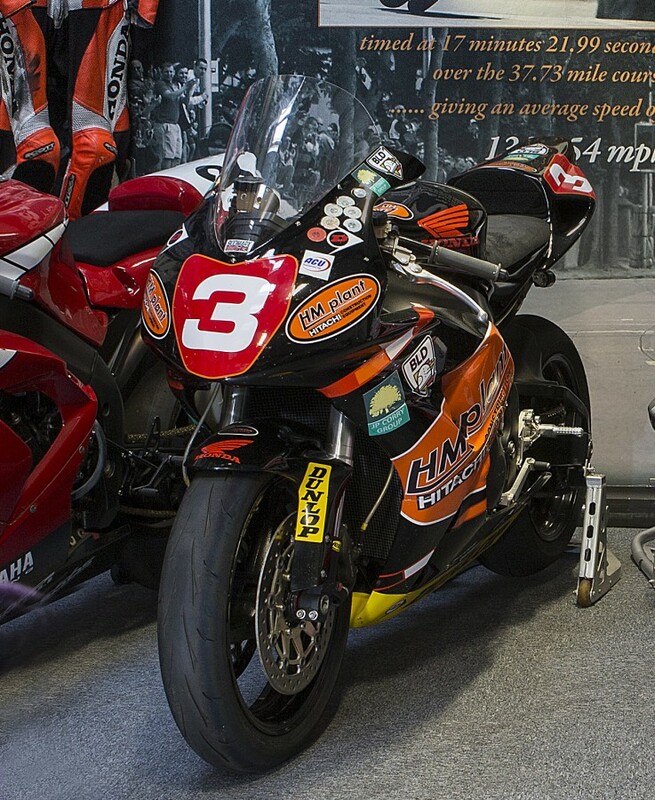 As well as this motorcycle, our Isle of Man Tribute on the 1st floor provides a fascinating insight into the history of the race with more bikes, videos and a huge wall display.